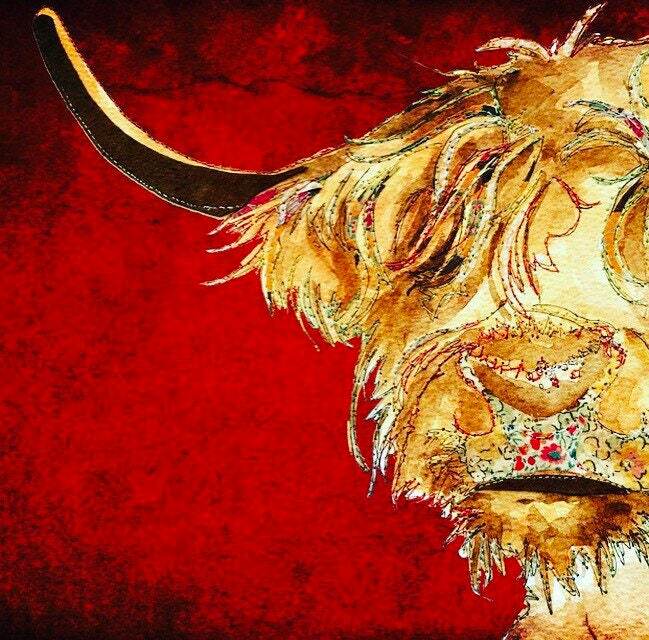 This is a Limited Edition Print of my Highland Cow in Red. All designs are hand-finished with sparkly crystals to ensure no two prints are ever the same! 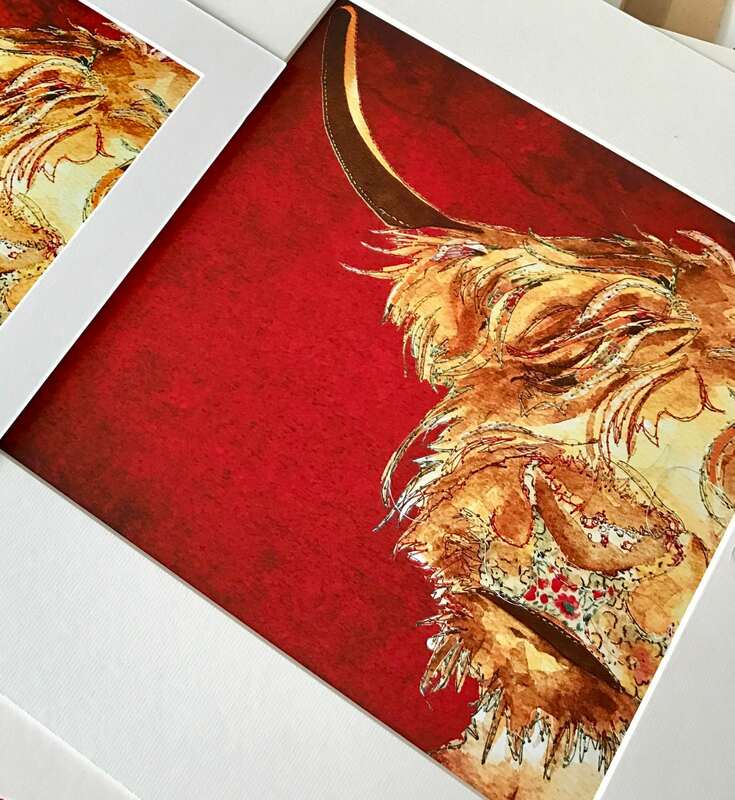 Please not all prints sent outside of the United Kingdom will not be supplied with a mount.